Recently, a new pest was reported attacking ficus trees and hedges in South Florida. This pest was identified as the ficus whitefly. Whitefly are small, winged insects that belong to the Order Hemiptera which includes aphids scales, mealy bugs, and other leaf feeding insects. These insects typically feed on the underside of leaves with their needle-like mouthparts. 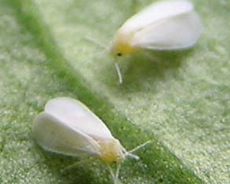 Whitefly can seriously injure host plants by sucking juices from them causing wilting, yellowing, stunting, leaf drop, or even death. The leaves of ficus trees infested with whitefly begin to turn yellow before the leaves are dropped from the plant. Ficus trees without their leaves are one of the most obvious symptoms of a whitefly infestation. This whitefly has been most commonly found infesting weeping fig (Ficus benjamina) but also has been seen on the Banyan tree. Although efforts to understand and control this pest are ongoing, there are several options for whitefly control. However, it is necessary to consider the site (landscape, hedge, large tree, container, production, etc.) the size and number of trees, for example, a foliar spray may not be possible. In the landscape, several natural enemies have been observed attacking this whitefly which can play an important role in controlling this pest. Efforts to introduce other natural enemies are being considered. Awareness of these natural enemies is very important so decisions for additional control measures can be made wisely so as not to also kill the natural enemies. Monitor your ficus plants for early signs of an infestation because it will be easier to manage the pest before it builds to high populations and causes major damage. Also, if infested trees or hedges are trimmed, either leave the clippings on the property or if removing, bag the clippings to reduce the chance of spreading the insects. If clippings are being transported in a truck, be sure to either bag them or cover these clippings with a tarp. Insecticides with systemic properties may be very useful in whitefly control because they can be applied as a drench to the soil and provide longer lasting control. However, it is important to use products that will not be detrimental to the natural enemies. 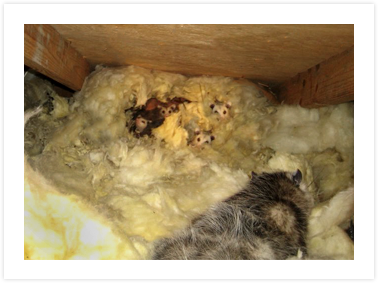 Protecting natural enemies may be a critical component in the long-term control of this pest. The current recommendation is to drench the soil around the base of the tree or hedge with a product that contains a neonicotinoid compound (clothianidin, dinotefuran, imidaclopprid, or thiamethoxam). Although your ficus tree or hedge may appear to be dying after losing most of its leaves, it may still be alive. If the twigs are still supple, the plant will produce new leaves in a few weeks. As soon as new growth is evident, a systemic insecticide applied to the soil may provide protection to the new growth.